Bangalore is the IT capital of India. Rightly referred to as the silicon valley of this, this city has a lot more to offer in addition to the sprawling IT parks and tech hubs. Although Bangalore is a major business hub, it is also a gateway to some of the most brilliant landscapes which the Western Ghats have to offer. Being an IT bastion has ensured that Bangalore is well connected to all parts of the country by rail, road and air. Getting there is easy, convenient and rewarding. Bangalore has been credited with this title for a reason. Its numerous gardens lush with greenery and abundant national parks in its vicinity are a perfect example of how man can co-exist with nature and develop at the same time. Bangalore is home to more than 100 small and large gardens within the city and has more than 10 national parks and wildlife sanctuaries within a radius of 250 kms making it a hotspot for lovers of mother nature. 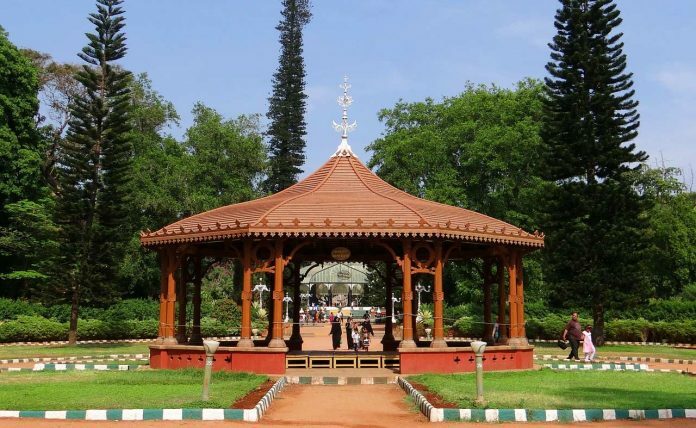 Lalbagh and Cubbon Park are two of the most prominent parks located in the heart of Bangalore. Ferocious tigers playing with their cubs, deer drinking water from waterhole, elephants lazing around in the jungles are some of the many photographic moments that will leave one awestruck and put one’s photography skills to best use. In addition to the wild animals, the exquisite flora and fauna of the gardens and the jungles will also enthrall and amaze. The beautiful colours of flowers and the endless chirping of birds will leave the traveller mesmerised. Bandipur national park, Bannerghatta national park, Nagarhole national park and Bhadra wildlife sanctuary are some of the famous wildlife parks in the vicinity of Bangalore. Not only national parks and gardens, the vicinity of Bangalore is dotted with scenic landscapes, adventurous hills, lush green mountains, numerous lakes and waterfalls which are sure to satiate one’s craving for Mother Nature’s love. These spots also famous for recreational activities such as boating, swimming and fishing. The hills and mountains play host to full filled and adventurous sessions of rock climbing, rappelling, hiking and trekking. While getting to Bangalore is easy, getting around Bangalore is also not difficult. The city is well connected to all the nearby attractions. Travelling by road is the most preferred way for most visitors. One can book airport taxi to reach the city from airport or can avail the airport shuttle service as well to commute from airport to the city and then continue further. Another preferable mode of travel is to rent a self-drive car from car rental companies such as Zoomcar which give one the option of picking up a car immediately on arrival at the airport or railway station and kick start the journey straight away.